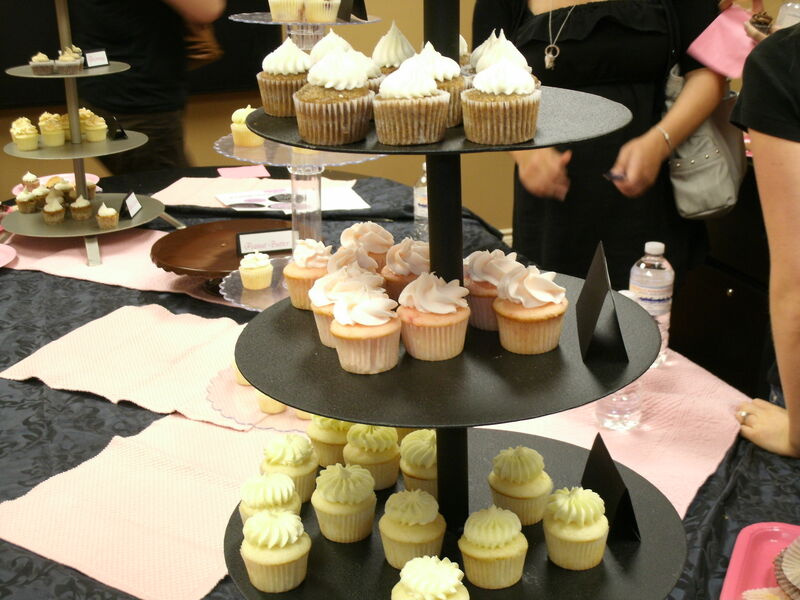 I went to the ever popular Little Cakes monthly cupcake sampling night in Kanata Tuesday night. 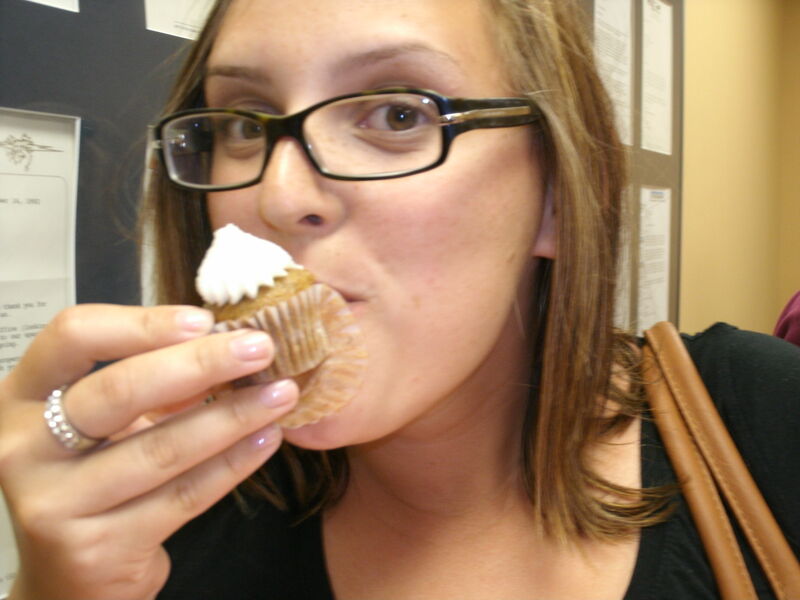 I went for a few reasons, first without explanation, hello….cupcakes, and second because Shakira and Colleen the two women who own Little Cakes really came through for a local organization recently and I wanted to learn more about them. I took along 2 ready testers and we had a blast, in fact it was heavenly. These two women have got it right and what I mean by that is both icing and cake is perfection. The cakes are moist, melt in your mouth, tender treats and the icing is divine, delicious buttercreams (and cream cheese) flavoured to suit the particular cupcake. 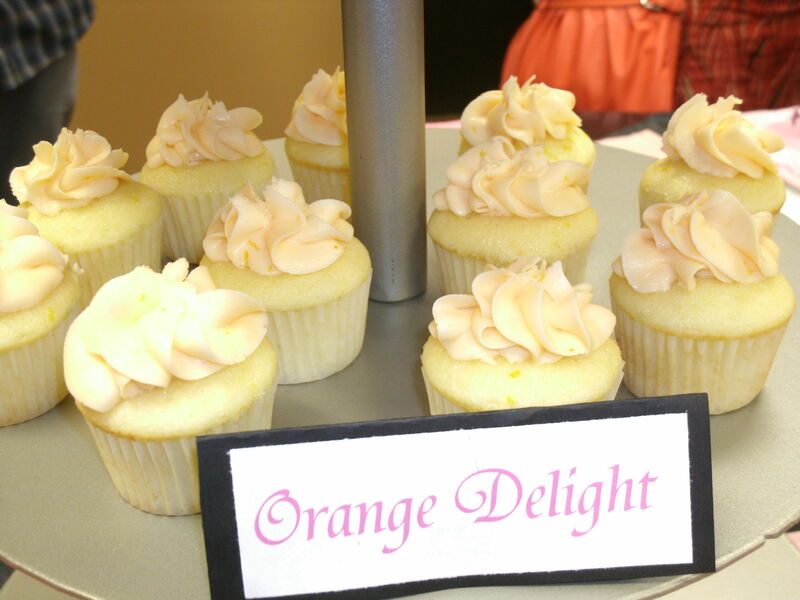 I compare them to the Magnolia cupcake, but not as sweet, which is right on. 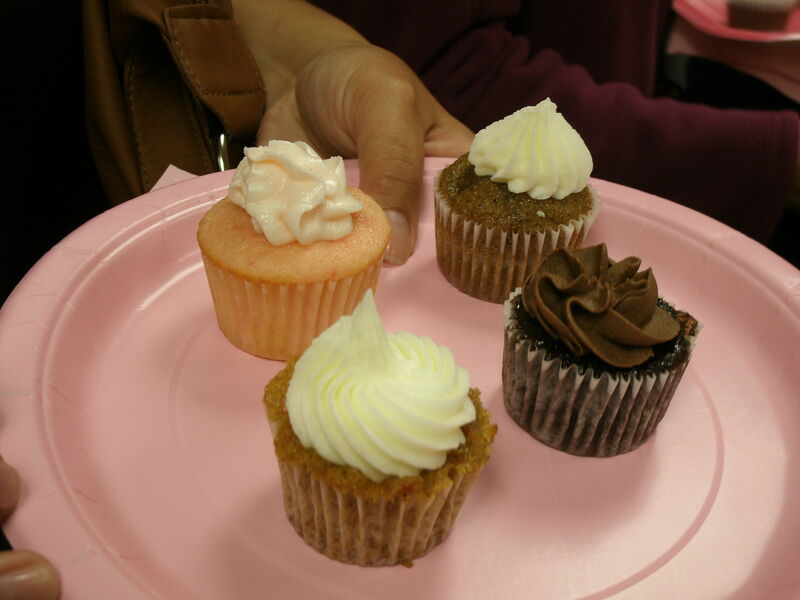 The cupcakes were minis just the perfect size for sampling. There were quite a few people there including brides, people planning parties, and women on a ladies night out. Little Cakes come in: Simply Vanilla, Chocolate Lovers, Cherry Cherry, Luscious Lemon, Cranberry Lemon, Mom’s Carrot, Red Velvet, Banana Rama, Brownie, Orange Delight, Peanut Butter, Strawberry Bliss, Chocolate Chip and other seasonal delights. My favourite, Cherry Cherry hands down! 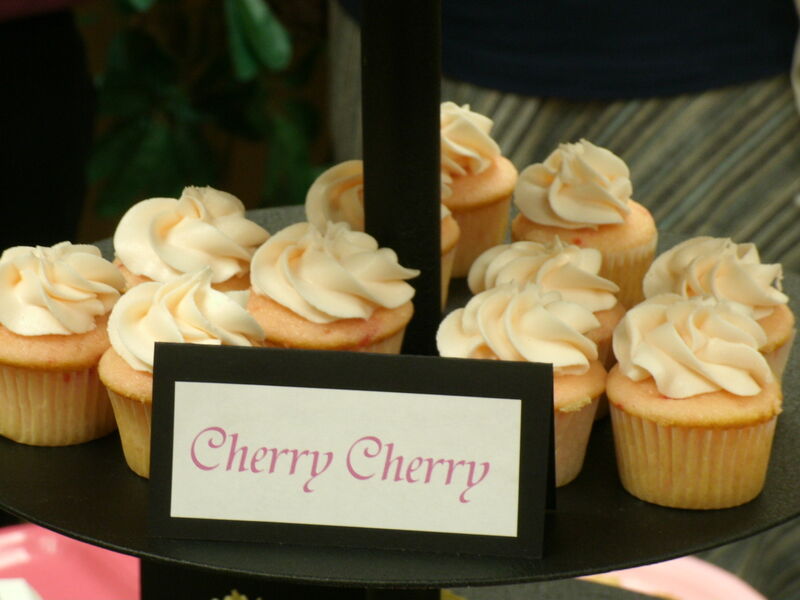 I thought about how great the mini cupcakes would be for a wedding, just the right size for dessert after a big meal. Speaking with one of the owners, Shakira she did confirm that this is a popular option with brides. What a great night out! 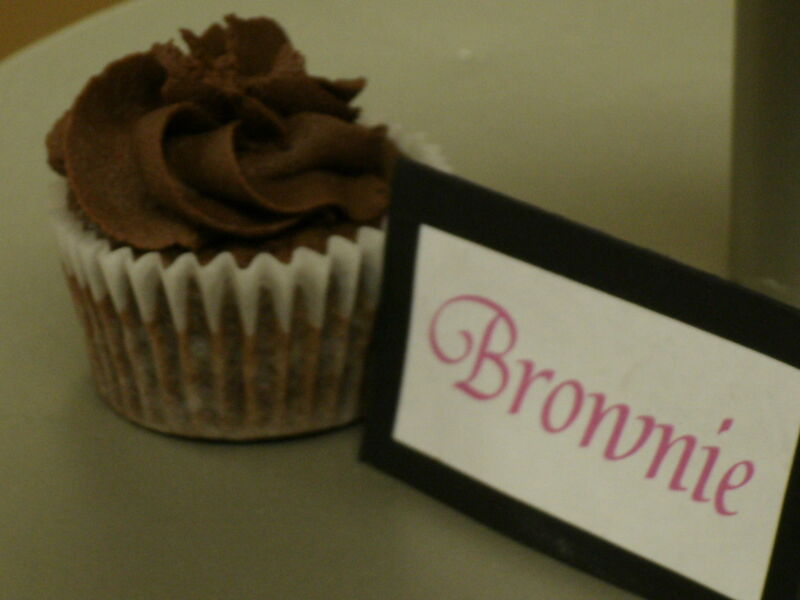 The samplings start up again in September, so keep an eye on the Little Cakes web site for info. After a frenzy of cupcake baking over the weekend (108) and the sugar hangover Sunday we are considering a buttercream ban. Can we do it? I don’t know. Do we need to? Probably. Will keep you posted…..